If you follow craft beer trends at all, it’s likely that you’re aware of the cloudy, unfiltered IPAs (often referred to as “New England-style”) that so many people are gaga for. Beer with clarity was once thought of as the standard, with haziness indicating flaws or laziness in the production process, but now cloudiness is prized by tons of drinkers for its textural and flavorful merits. These hazy hop-bombs are often bright and juicy, sometimes fermented with malted oats and/or lactose and with plenty of adjunct flavors in the mix. Many of these are named with some kind of treat theme: “milkshake” beers, “gelato” beers, or “dessert” beers, and the pours are thick and creamy, reminiscent of pulpy citrus juice. These beers are big, bold and, if you’re into that sort of thing, pretty fun to drink. ACE Cider released SPACE, its unfiltered blood orange cider, in late spring of 2018 after fans voted on the flavor through a Facebook poll. This vivid, tart, citrusy cider starts with ACE’s Joker as its base, then uses whole Moro blood oranges, and is fully unfiltered. Fun fact: ACE’s owner Jeffrey House’s wife played the character Brea Tonnika in the cantina scene in the original Star Wars movie, and her picture is right there on the neck of the bottle! Perhaps it’s fitting that, as a New England-based cidery, Boston’s Downeast Cider has dedicated its entire line to unfiltered ciders. It’s got plenty of flavors to try across its core and seasonal offerings (hello, Pumpkin Cider), and every one of them is unfiltered to maintain maximum apple flavor. There’s something for every taste, from the straightforward Original Blend to the mega-tropical summer release, Aloha Blend. 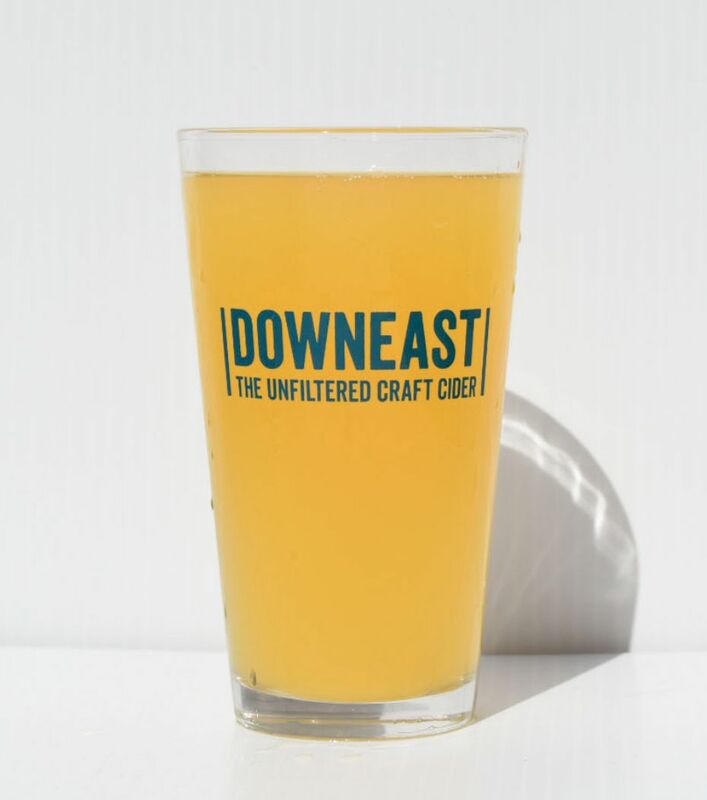 Find Downeast along the East Coast and in parts of the Midwest. Along with our 3rd annual cider fest tomorrow night, we are also releasing our newest installment in the unfiltered Dreamcicle series! This cider is made with our farmhouse blend of apples and fermented on fresh peaches, apricots, raspberries, and milk sugar! In May of 2018, Embark Craft Ciderworks launched its unfiltered Dreamsicle series of ciders. Taking some of the strongest cues we’ve seen from the craft beer trend, Embark’s first release was the Tropics cider: apples fermented with milk sugar and blended with mango, pineapple and pink guava, and dry hopped with Mosaic and Citra hops. Since then, Embark has continued the series with variations like Dreamsicle Field of Dreams, a cider fermented with milk sugar, strawberries, blackberries and white peaches, and the newest installment (pictured above), with peaches, apricots, raspberries and milk sugar. These are limited edition batches which, if you’re lucky, you may be able to find on shelves in California, New York and New Jersey. One place you can definitely try these unfiltered ciders is in Embark’s taproom in Williamson, New York. Bay Brut, a rustic dry and unfiltered cider from Golden State Cider, offers crisp notes of stone fruit and green apple; suggested pairings include “local cheeses, farm-fresh veggies and steak.” The apples used in this, and in all of Golden State’s core ciders, come from sustainably grown fruit sourced from Oregon, Washington and California. Founders Jolie Devoto and her husband Hunter Wade run Golden State’s operations from Devoto Orchards, one of the last remaining heirloom orchards in Sebastopol, California, which was founded by Devoto’s parents 40 years ago. 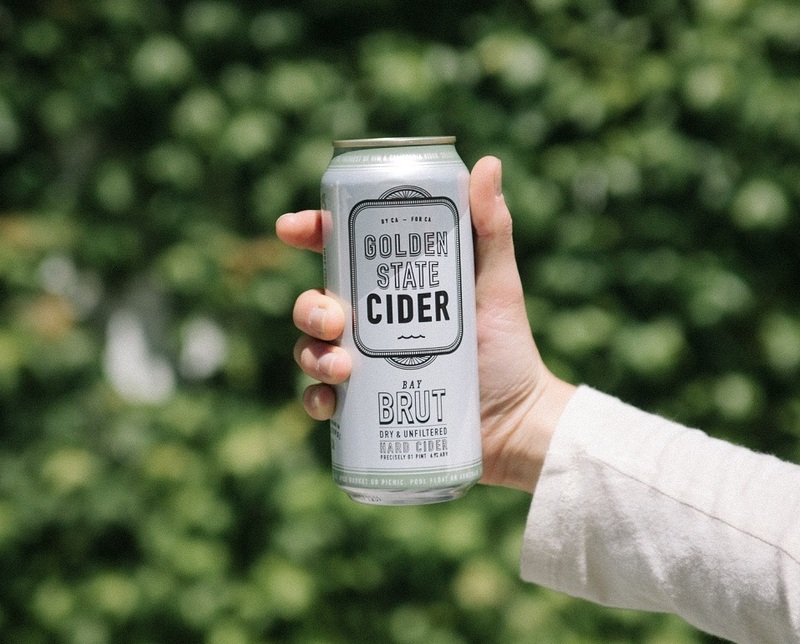 Golden State Cider is currently distributed in Oregon and California. Legend Cider, based about 85 miles east of Portland, Oregon, crafts a half-dozen flavors of freshly crafted ciders, all using unfiltered juice. Most involve other fruits, like Paulina Pomegranate Cranberry and Broken Top Blood Orange, and all focus on full flavor and a delicate balance of sweetness and tartness. Find Legend Cider on tap in the Portland area. Oyster River Winegrowers has earned a reputation for funky, complex natural wines, and it carries along the same ethos and methods to its small range of ciders. Wildman Cider is made from foraged fruit from wild seedling trees and old, unmaintained trees from its farm and surrounding lands; Dry Cider is made from apples from Willow Pond Orchard, with a nice, light body and tartness; and Hoboken Station is a field blend of “many esoteric, bittersweet, cider-specific apple varieties,” which is spontaneously fermented throughout the winter. Each one is bottle conditioned and unfiltered with no sulfites added. Find Oyster River’s wines and ciders distributed in a handful of states, at its Tasting Room and Wine Shop in Warrington, Maine, or shop online. Arlo – the official sponsor of (very) amateur tennis nationwide. Shacksbury Cider bills Arlo as “a cider for the sour beer or natural wine lover.” And while it most certainly would please those palates, we think it’s a good starter cider for any drinker who’s ready to delve into something a bit more complex than the average session cider. Funky, but not too funky, challenging but in a good way, Arlo offers up bountiful acidity, with plenty of aromatics and earthiness. Made from apples from Sunrise Orchards in Cornwall, Vermont and traditional Basque cider apples from Petritegi Sagardoa, it is wild yeast fermented, unfiltered, naturally carbonated and contains no added sulfites. Shop online, or use Shacksbury’s location finder to discover a retailer close to you. What unfiltered ciders have you tried? Do any rank high on your list of new favorites? Please let us know!